Buffalo Raceway is a horse racing establishment located in Hamburg, New York and is home to a ½-mile standardbred harness race track and casino. 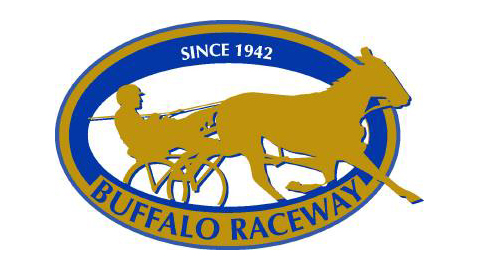 Buffalo Raceway hosts live harness racing during the months of January to July. Hamburg, NY resident James J. Dunnigan opened the doors of Buffalo Raceway in June of 1942, shortly after New York State passed a bill allowing pari-mutuel harness racing. Buffalo Raceway’s all time attendance peaked at 12,779 on July 15, 1966 when the top horse of the era, “Bret Hanover”, was victorious in a stake race. The track record at Buffalo Raceway is 1:52.0. The Daily Racing Form (DRF) assigned Buffalo Raceway a speed rating of 12 (1:59 3/5-2:00) and a record rank of 22t. Did you know that Buffalo Raceway’s all time attendance peaked at 12,779 on July 15, 1966?